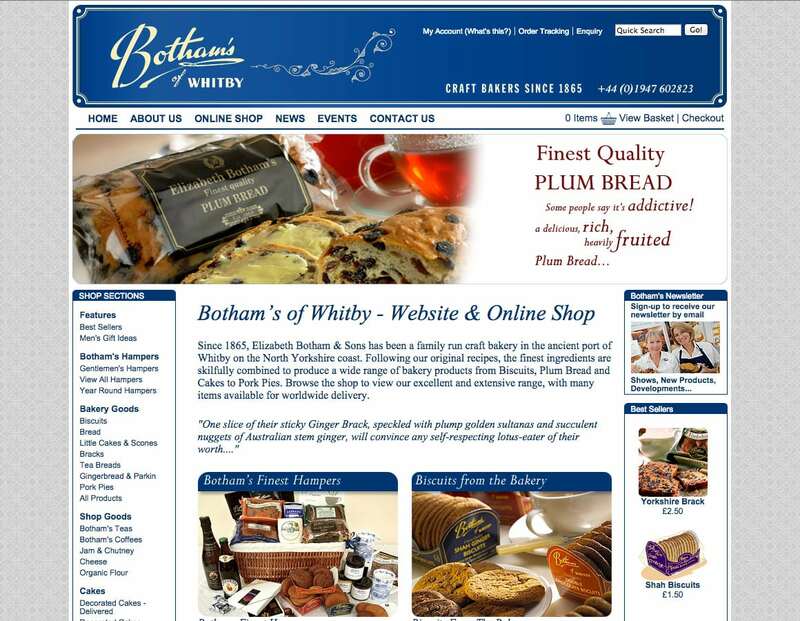 Botham’s of Whitby is a family run bakery, famous throughout the world. 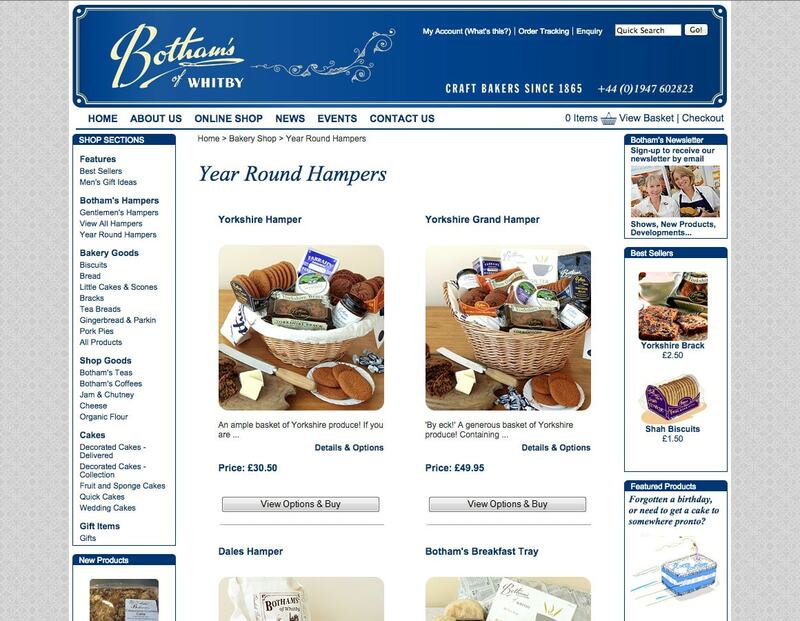 Botham’s were early adopters of selling on the internet and now sell their superb range of hand baked confectionary, cakes and biscuits globally – from New York to Tokyo. 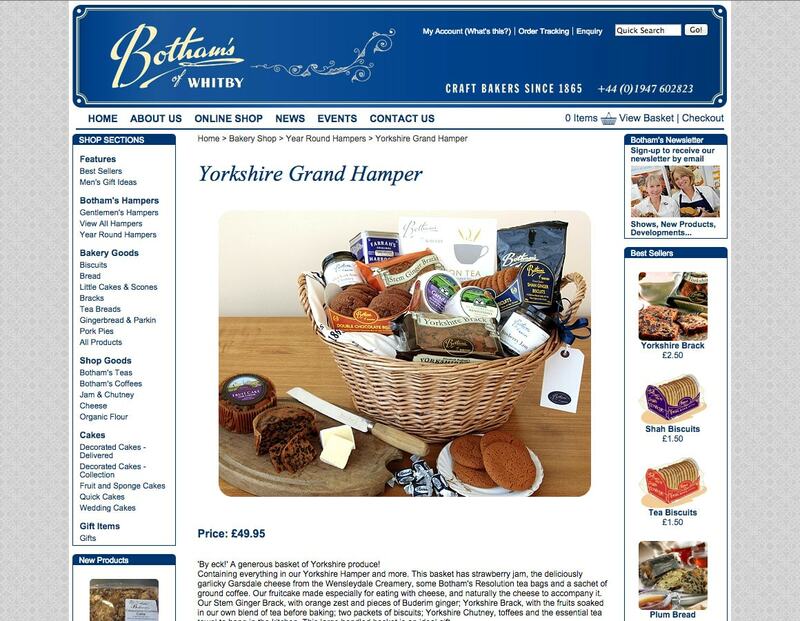 Media Vision redesigned the current website in 2011. 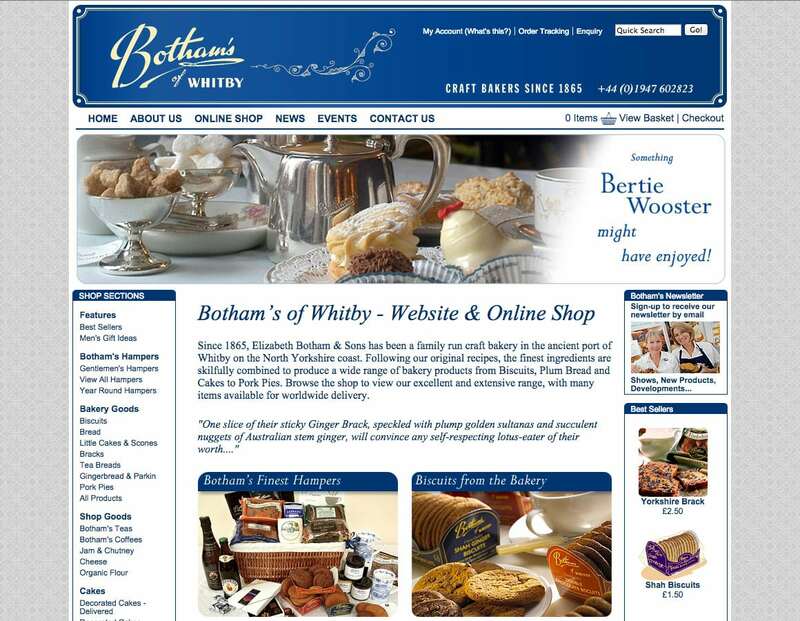 The website is built on the Actinic E-commerce platform and was developed with the help of specialist Actinic developer Garry Butcher. We are also responsible for much of the product photography and print graphics.